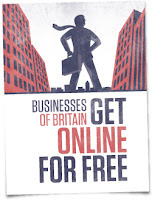 Getting British Business Online Free Domain problem. How to get your new web site to work without the www. 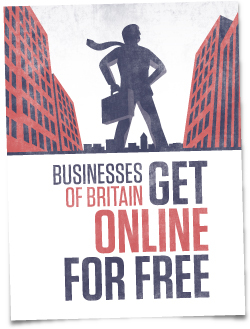 If you are not already aware of it there is a great new initiative called Getting British Business Online. If you have a business or are just starting one all you have to do is register and for free you get a domain name (website address) of your choice that ends in .co.uk. The initiative uses nominet as the domain name registrar and Google Sites to host the website. Because the scheme is associated with Google Sites you also get a free web site and using Google Apps you can also have email that uses your new domain name which looks really professional. It is a great opportunity to get your business on the Internet quickly and easily and for free. It has come to the attention that in an otherwise very easy set up process there is one small flaw that is liable to trip some people up. When first set up, and after around the six days it can take for your new address to filter through the Internet, only www.yourname.co.uk will take you to your site, http://yourname.co.uk will not. People rarely type www. these days so it is important to get both www. and without www. to work. The good news is that this is easy to remedy. Log in using your details from the registration email. Once you have logged in and you are on the home page of your account you will see an invitation to "click here" to request changes to your domain name settings. Leave the drop down menu at "I want to Change the name servers". Type in the large information box bellow that you want your domain name to work with and without the www. and click submit. Within 12hrs or so (Christmas permitting) you will get a reply like this one. "A GBBO website with a standard install will not show without www. this can be resolved by making the following changes. * Add your domain name as an additional domain name but without the www. Once you have done this please let me know so I can update your host records"
Once they have updated the host records your domain name will work with or without www. Polybore would suggest that they set up the host records and google sites as well if possible as the standard install as everyone who registers will want their domain name to work with or without the www.